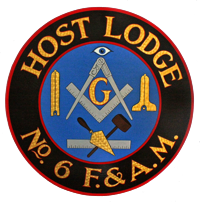 A New Year… – Host Lodge #6 F. & A.M. It has been a busy time here at Host Lodge! Nominations, Elections and Installations all around. After being duly Nominated, Elected and Qualified, Brother Lawrence West was installed Worshipful Master for Host Lodge on Saturday, December 16, with Most Worshipful John Colligas, PGM 2008, RW Gregory Schulze, PGC, RW William Miller, GC, and RW David Glattly, PGMar as the installing team. 2018 is looking to be another busy year. We are planning an EA degree already, there is a Roast Beef Dinner scheduled for February 3, and we will be having education at as many communications as possible. Come out and visit with your brethren!